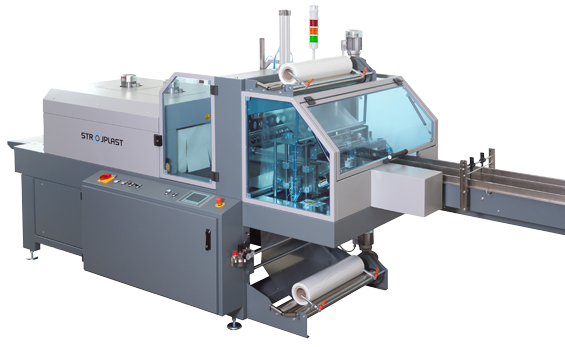 side-feeding automatic sleeve wrapping machines. 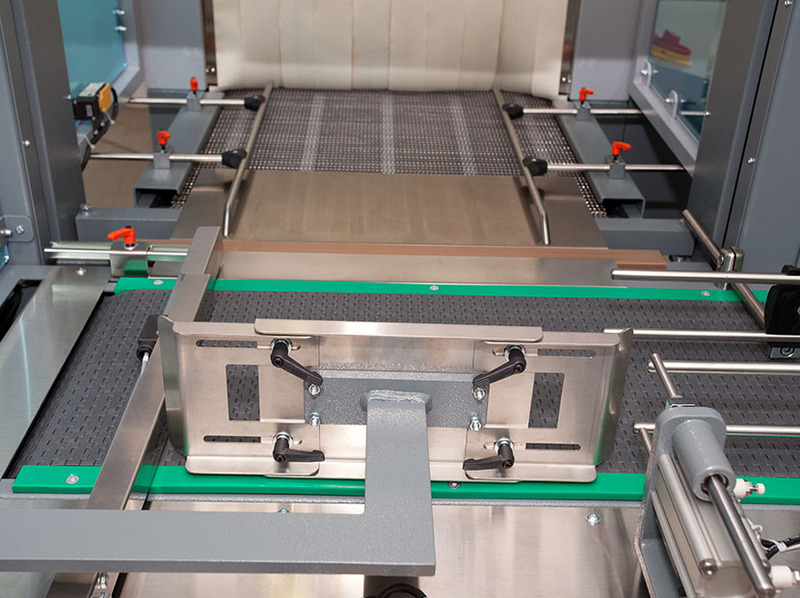 Packing machine can be equipped with different feeding and discharging conveyors and other options that make it a fully functional packing unit for different types of products. 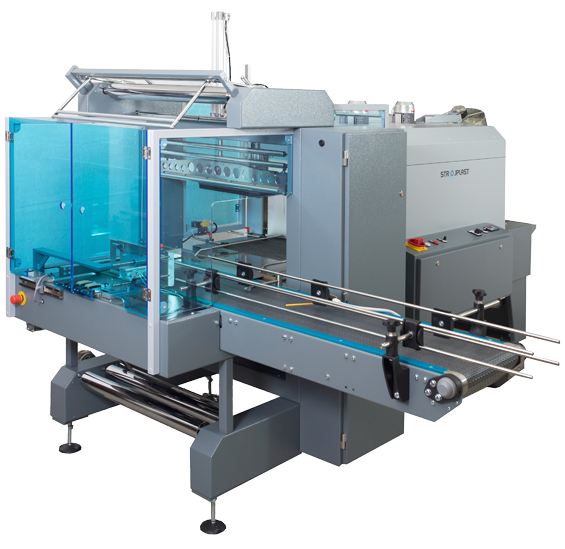 Familiy of standard automatic sleeve wrapping machines with side-feeding of products is composed of three machines. 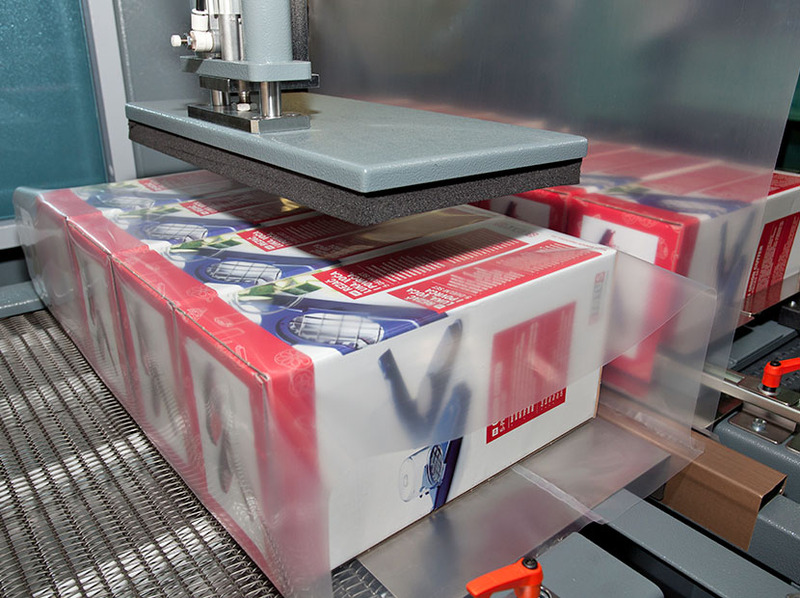 Their main difference is in maximum size of the products that can be packed with each of them. 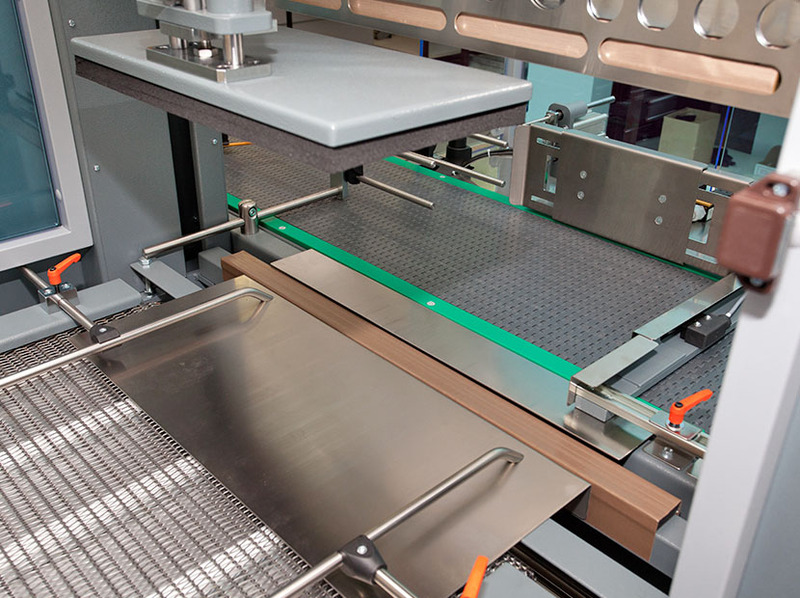 When required machines can be customized to adapt to space limitations of the production process. 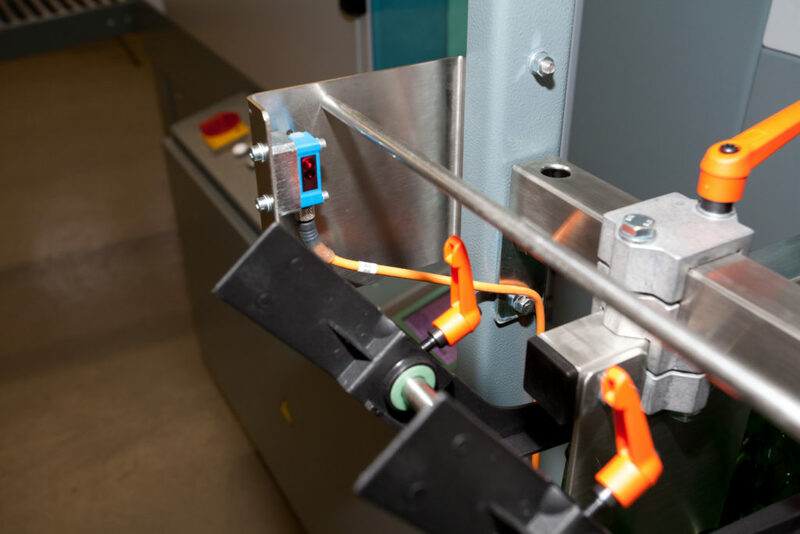 two additional film reel sliding rollers make replacement of heavy film reels an easy task. 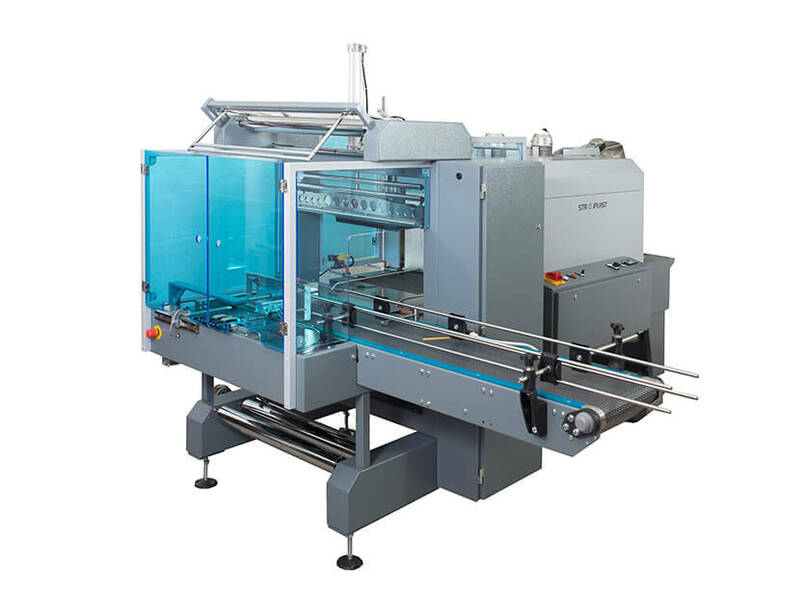 Familiy of standard automatic sleeve wrapping machines with line-feeding of products is composed of four machines. 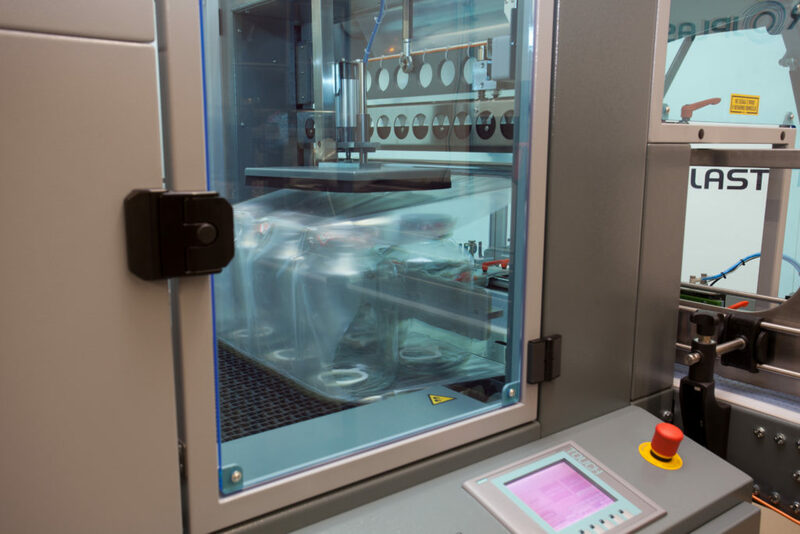 Their main difference is in maximum size of the products that can be packed with each of them. 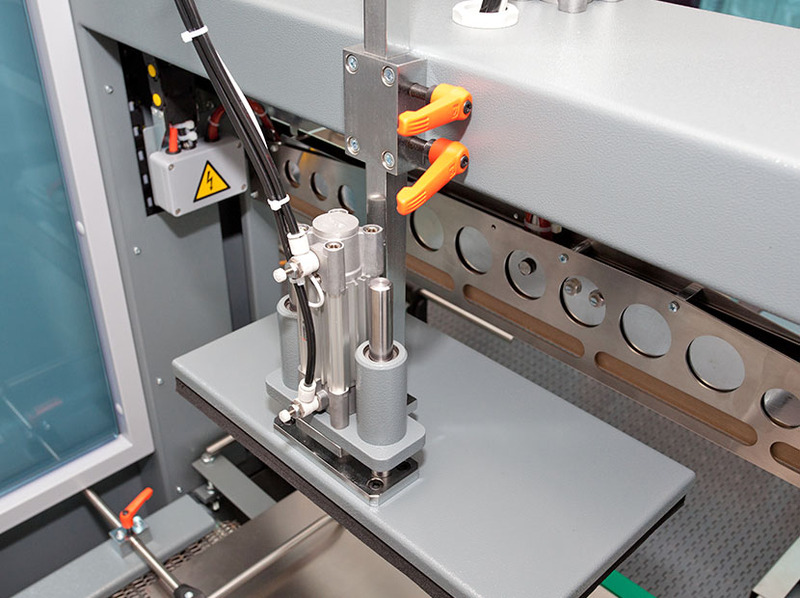 When required machines can be customized to adapt to space limitations of the production process.